It's always good to have all the features bundle and use it. As some of you who have use the iSCSI version 3.3 before you would need to download the component from Microsoft website and configure on both client and server. Now with the latest version, installation is getting simpler and easy. 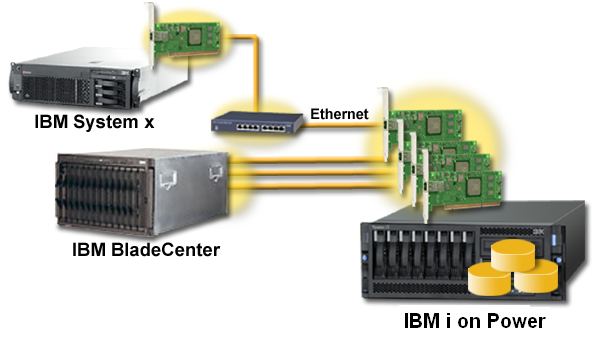 Have a look at the below how you can get started to install a iSCSI server. 2)If you are not sure whether you have installed the role or not, the system will mention this on the screen. Just follow the screen wizard to proceed with the installation. 4)Use the default setting and click next. 5)Choose install to proceed. At this point of time we have installed the role but we haven’t configure anything yet. 6) This is on the client it self, you will need to start the iSCSI initiator, to start it, you will need to launch the server manager. You can find those in the task tab as shown in the slide. 7)You will be prompt and then select yes to start. 8)Once it is started, you will have the iSCSI initiator screen, for the first times setup, you need to key in the ip address of the iSCSI target so that the server will capture the IQN which is equivalent to WWN in HBA.